Michelle Duster is an author, speaker and educator who teaches writing at Columbia College Chicago, USA. 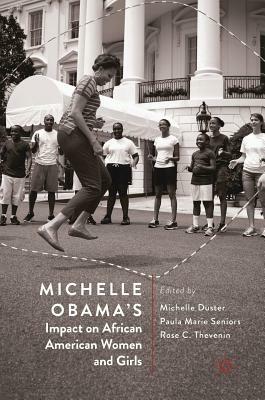 She co-wrote, co-edited and contributed to eight other books. Born and raised on the Southside of Chicago, she earned her BA in Psychology from Dartmouth College and her MA in Media Studies from The New School. Paula Marie Seniors is an associate professor at Virginia Tech, USA, biographer of her family's legacy in Mae Mallory, the Monroe Defense Committee and World Revolutions: African American Women Radical Activists and award-winning author of Beyond Lift Every Voice and Sing: The Culture of Uplift, Identity and Politics in Black Musical Theater. Rose C. Thevenin was born and raised in Haiti and is an associate professor at Florida Memorial University, USA. She is co-founder of the Florida Africana Studies Consortium and former National Vice-Director of the Association of Black Women Historians. She is co-editor of the three-volume Encyclopedia of the African Diaspora, and has won multiple awards and fellowships for scholarship, leadership and community service.